Madrigal, Róger and Maria Angelica Naranjo. 2015. “Adaptive capacity, drought and the performance of community-based drinking water organizations in Costa Rica.” Journal of Water and Climate Change 5:06.4: . Community-based drinking water organizations (CBDWOs) are the most important providers of water in rural areas of the developing world. They are responsible for coping with future threats due to climate change, besides other non-climatic drivers of change such as demographic growth. The inherent capacities of CBDWOs to adapt to external drivers of change would be greatly conditioned by their capacities to initiate and catalyze collective processes. 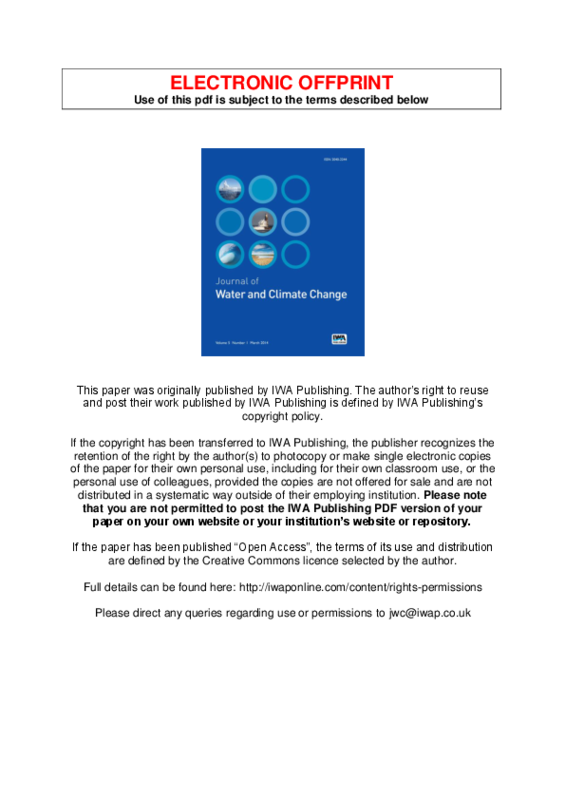 The rich background of CDBWOs' actual and historical responses to drought phenomena is an essential starting point for understanding both the processes and the limitations of adapting to future adverse climatic events. In this study, we contrast six CBDWOs located in the Costa Rican dry corridor, in order to analyze their ability to self-organize coping with recent annual periodical droughts. We found that CBDWOs implement hard, soft, and ecosystem-based adaptation measures. The decisions in this regard are reactive, tend to follow a sequential order, and are context dependent. One of the main factors that facilitate capital-intensive adaptation measures is the ability of CBDWOs to mobilize internal or external financial resources, which further depends on social capital and the governance structure.